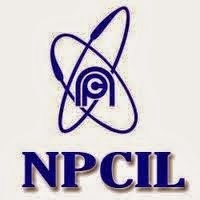 Nuclear Power Corporation of India Limited (NPCIL) has issued notification for the post of Executive Trainee in 2015. To know further job information read out the NPCIL Executive Trainee recruitment 2015 notification details. How to apply : Eligible and interested candidates may apply through online mode. For more details, check out the official advertisement which is given here. 0 comments for " NPCIL Recruitment 2015 for Executive Trainee post "